At the time of this writing, the was no Google Earth .deb package available from the Ubuntu/Medibuntu repositories as it was the case for previous Ubuntu versions, but we can simply install the Google Earth package for Ubuntu 10.04 LTS (Lucid Lynx) from the Medibuntu repositories - it works on 10.10 as well. 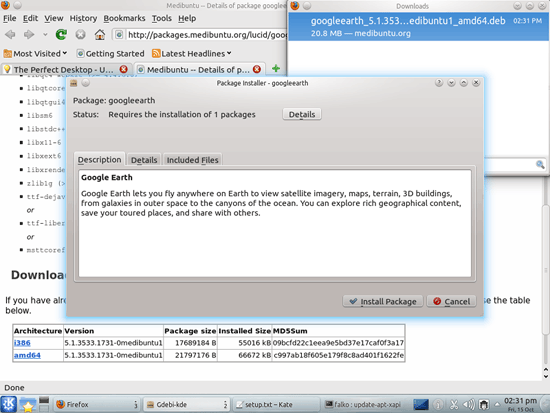 Go to http://packages.medibuntu.org/lucid/googleearth.html and select the right package for your architecture (i386 or amd64). 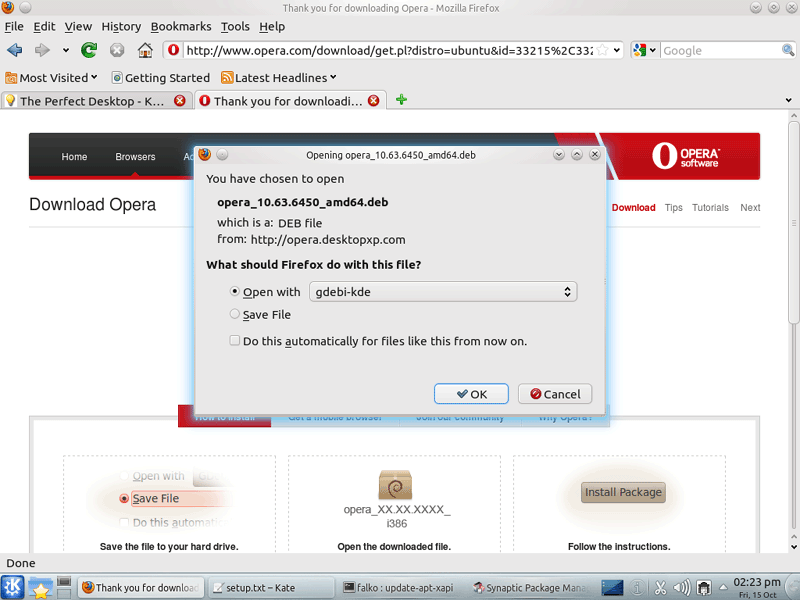 A download dialogue should come up. 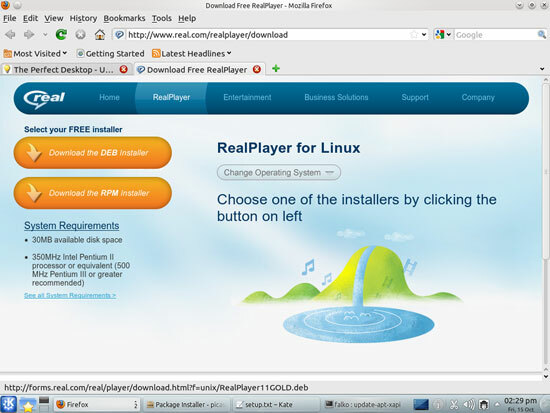 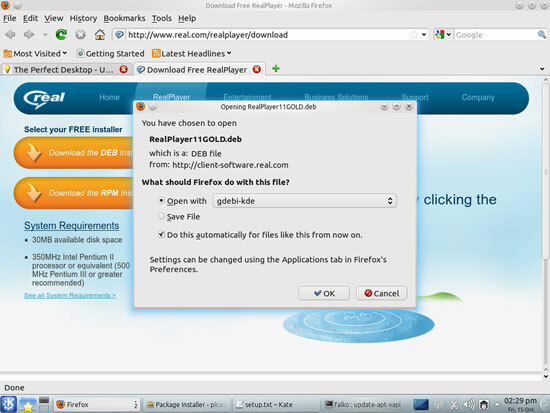 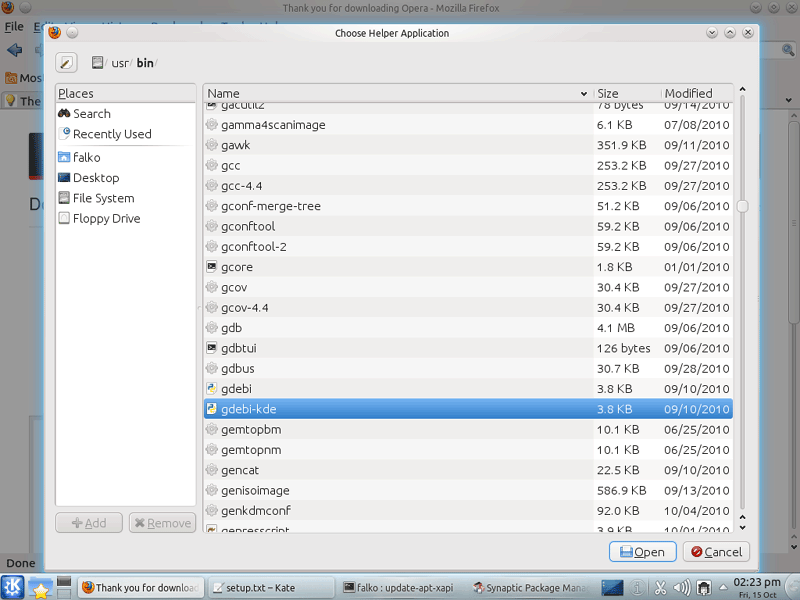 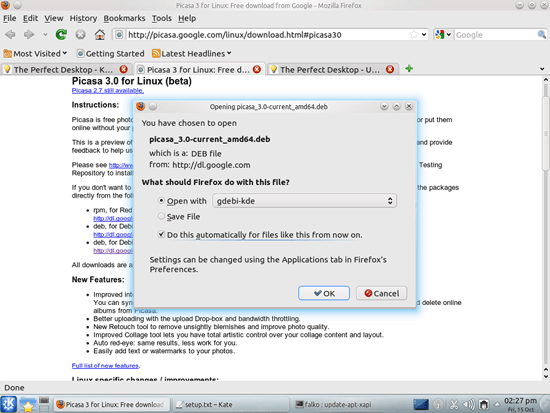 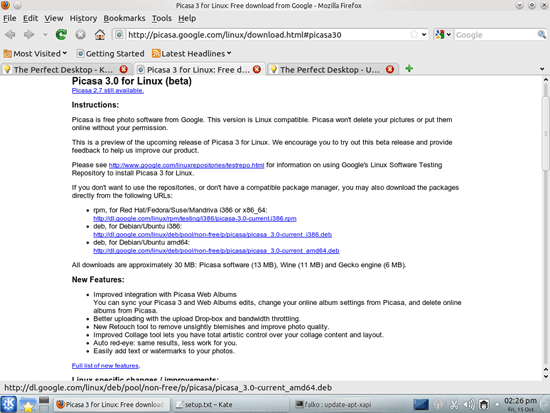 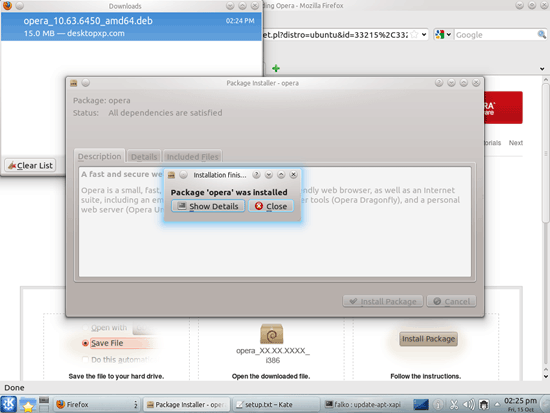 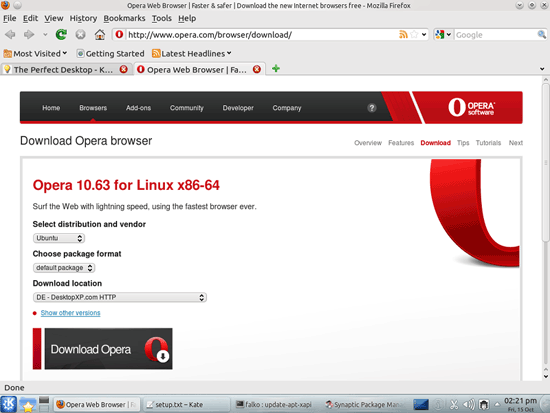 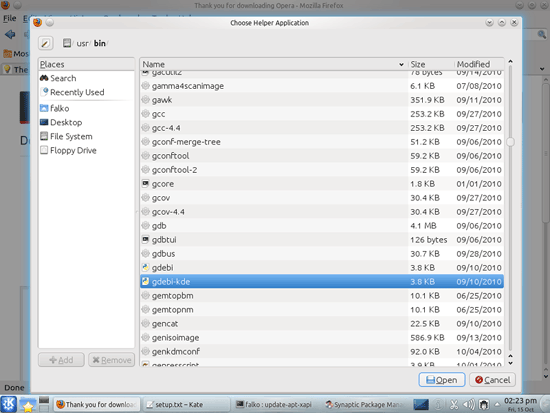 Select Open with gdebi-kde, and then install the package exactly as shown for Opera.